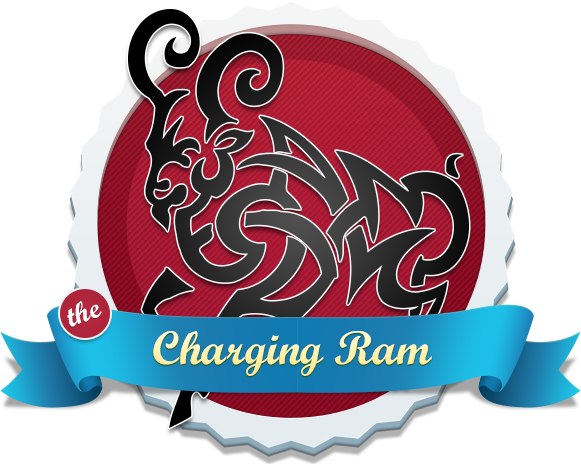 You have selected the Charging Ram membership level. This lets you join another member’s team with the code they gave you. Welcome to Dave Kovar’s Instructor Toolbox (“Instructor Toolbox”) from Kovar Systems and Kovars, Inc.! We are a subscription service that provides our members with access to martial arts instructional videos and content ("videos and content") streamed over the Internet to certain Internet-connected computers and other devices. If you are a resident of the United States (including its possessions and territories), you agree to the Arbitration Agreement and class action waiver described in Section 15 to resolve any disputes with Kovar Systems (except for matters that may be taken to small claims court). Ongoing Membership. Your Instructor Toolbox membership, which may start with a free trial, will continue month-to-month or year-to-year depending on your membership selection unless and until you cancel your membership or we terminate it. You must have Internet access and provide us with a current, valid, accepted method of payment (as such may be updated from time to time, "Payment Method") to use the Instructor Toolbox service. We will bill the monthly or annual membership fee to your Payment Method. You must cancel your membership before it renews each month in order to avoid billing of the next month's membership fees to your Payment Method. Your Instructor Toolbox membership may start with a free trial. The free trial period of your membership lasts for one month, or as otherwise specified during sign-up. For combinations with other offers, restrictions may apply. Free trials are for new and certain former members only. Kovars reserves the right, in its absolute discretion, to determine your free trial eligibility. We will begin billing your Payment Method for monthly membership fees at the end of the free trial period of your membership unless you cancel prior to the end of the free trial period. To view the specific details of your membership, including monthly or annual membership price and end date of your free trial period, visit the “My Account” page of our website. Your trial period will end one day prior to your next scheduled payment. We may authorize your Payment Method through various methods, including authorizing it up to approximately one month of service as soon as you register. In some instances, your available balance or credit limit may be reduced to reflect the authorization during your free trial period. You will not receive a notice from us that your free trial period has ended or that the paying portion of your membership has begun. CLICK THE "WELCOME [your username]” LINK AT THE TOP OF ANY INSTRUCTOR TOOLBOX WEB PAGE (www.martialartsinstructortoolbox.com) AFTER LOGGING IN TO FIND CANCELLATION INSTRUCTIONS. We will continue to bill your Payment Method on a monthly basis for your membership fee until you cancel. Annual memberships will renew automatically on the anniversary date. Recurring Billing. By starting your Instructor Toolbox membership and providing or designating a Payment Method, you authorize us to charge you a monthly membership fee at the then current rate, and any other charges you may incur in connection with your use of the Instructor Toolbox service to your Payment Method. You acknowledge that the amount billed each month may vary from month to month for reasons that may include differing amounts due to promotional offers, including promotional code redemption, and/or changing or adding a plan, and you authorize us to charge your Payment Method for such varying amounts, which may be billed monthly in one or more charges. Annual memberships are subject to the same terms on an annual basis. Payment Methods. You may edit your Payment Method information by visiting our website and clicking on the "My Account" link, available at the top of the pages of the Instructor Toolbox website. If a payment is not successfully settled, due to expiration, insufficient funds, or otherwise, and you do not edit your Payment Method information or cancel your account (see, "Cancellation" below), you remain responsible for any uncollected amounts and authorize us to continue billing the Payment Method, as it may be updated. This may result in a change to your payment billing dates. For certain Payment Methods, the issuer of your Payment Method may charge you a foreign transaction fee or other charges. Check with your Payment Method service provider for details. Cancellation. You may cancel your Instructor Toolbox membership at any time, and you will continue to have access to the Instructor Toolbox service through the end of your current billing period. WE DO NOT PROVIDE REFUNDS OR CREDITS FOR ANY PARTIAL-MONTH MEMBERSHIP PERIODS OR UNWATCHED VIDEOS AND CONTENT. To cancel, go to the "My Account" page on our website and follow the instructions for cancellation. If you cancel your membership, your account will automatically close at the end of your current billing cycle. To see when your billing cycle ends visit the "My Account" page. Your billing cycle ends immediately prior to your next scheduled payment. If you signed up for Dave Kovar’s Instructor Toolbox using your account with a third party as a Payment Method, and wish to cancel your Instructor Toolbox membership at any time, including during your free trial, you may need to do so through such third party, including by visiting your account with the applicable third party and turning off auto-renew, or unsubscribing from, the Instructor Toolbox service through that third party. You may also find billing information about your Instructor Toolbox membership by visiting your account with the applicable third party. The Instructor Toolbox service, and any content viewed through our service, are for your personal and non-commercial use only. During your Instructor Toolbox membership, we grant you a limited, non-exclusive, non-transferable, license to access the Instructor Toolbox service and view videos and content through the service on a streaming-only basis for that purpose. You may not otherwise copy, reproduce, duplicate, display, retransmit, distribute, publish, scrape, download in bulk, sell, resell, commercially exploit or otherwise transfer any portion of the Instructor Toolbox service or the videos and content or modify or create derivative works of the material. Except for the foregoing limited license, no right, title or interest shall be transferred to you. You agree not to use the service for public performances. We continually update the Instructor Toolbox service, including the content library. In addition, we continually test various aspects of our service, including our website, user interfaces, service levels, plans, promotional features, availability of videos and content, delivery and pricing. We reserve the right to, and by using our service you agree that we may, include you in or exclude you from these tests without notice. We reserve the right in our sole and absolute discretion to make changes from time to time and without notice in how we offer and operate our service. The availability of videos and content to watch will change from time to time. The quality of the display of the streaming videos and content may vary from computer to computer, and device to device, and may be affected by a variety of factors, such as your location, the bandwidth available through and/or speed of your Internet connection. HD and Ultra HD availability is subject to your Internet service and device capabilities. Not all content is available in HD or Ultra HD and not all plans allow you to receive HD or Ultra HD content. A download speed of at least 5.0 Mbps per stream is recommended to receive HD content, which is defined as 720p or better. A download speed of at least 25.0 Mbps per stream is recommended to receive Ultra HD content, which is defined as resolution greater than 1080p. You are responsible for all Internet access charges. Please check with your Internet provider for information on possible Internet data usage charges. Kovars makes no representations or warranties about the quality of your watching experience on your display. The time it takes to begin watching videos and content will vary based on a number of factors, including your location, available bandwidth at the time, the videos and content you have selected and the configuration of your Internet-ready device. The member who created the Instructor Toolbox account and whose Payment Method is charged is referred to here as the Account Owner. The Account Owner has access and control over the Instructor Toolbox account. The Account Owner's control is exercised through use of the Account Owner's password and therefore to maintain exclusive control, the Account Owner should not reveal the password to anyone. In addition, if the Account Owner wishes to prohibit others from contacting Kovar Systems Customer Service and potentially altering the Account Owner's control, the Account Owner should not reveal the Payment Method details (e.g., last four digits of their credit or debit card) associated with their account. You are responsible for updating and maintaining the truth and accuracy of the information you provide to us relating to your account. You should be mindful of any communication requesting that you submit credit card or other account information. Providing your information in response to these types of communications can result in identity theft. Always access your sensitive account information by going directly to the Instructor Toolbox website and not through a hyperlink in an email or any other electronic communication, even if it looks official. Kovars reserves the right to place any account on hold anytime with or without notification to the member in order to protect itself and its partners from what it believes to be fraudulent activity. Kovars is not obligated to credit or discount a membership for holds placed on the account by either a representative of Kovars or by the automated processes of the Instructor Toolbox. THE INSTRUCTOR TOOLBOX SERVICE AND ALL CONTENT AND SOFTWARE ASSOCIATED THEREWITH, OR ANY OTHER FEATURES OR FUNCTIONALITIES ASSOCIATED WITH THE INSTRUCTOR TOOLBOX SERVICE, ARE PROVIDED "AS IS" AND "AS AVAILABLE" WITH ALL FAULTS AND WITHOUT WARRANTY OF ANY KIND. KOVARS DOES NOT GUARANTEE, REPRESENT, OR WARRANT THAT YOUR USE OF THE INSTRUCTOR TOOLBOX SERVICE WILL BE UNINTERRUPTED OR ERROR-FREE. TO THE EXTENT PERMISSIBLE UNDER APPLICABLE LAWS, IN NO EVENT SHALL KOVARS, OR ITS SUBSIDIARIES OR ANY OF THEIR SHAREHOLDERS, DIRECTORS, OFFICERS, EMPLOYEES OR LICENSORS BE LIABLE (JOINTLY OR SEVERALLY) TO YOU FOR PERSONAL INJURY OR ANY SPECIAL, INCIDENTAL, INDIRECT OR CONSEQUENTIAL DAMAGES OF ANY KIND, OR ANY DAMAGES WHATSOEVER. Promotions. From time to time, promotional codes may be available, including those provided as part of a third party promotion. Promotional codes may be redeemed as described in the specifics of the promotion. Promotional codes can only be used once, cannot be redeemed for cash, and may be combined with other offers, including a free trial, subject to certain restrictions as determined by Kovars in its sole discretion. If you received a promotional code through an offer by a third party, additional conditions may apply. Copyright. The Instructor Toolbox service, including all content provided on the Instructor Toolbox service, is protected by copyright, trade secret or other intellectual property laws and treaties. Trademarks. “Kovar Systems” and the Kovar Systems logo are registered trademarks of Kovars, Inc.
Claims of Copyright Infringement. Claims of Copyright Infringement. In accordance with Title II of the Digital Millennium Copyright Act (DMCA), an agent has been designated to receive notification of a claimed copyright infringement for Kovars. If you believe your work has been reproduced or distributed in a way that constitutes copyright infringement or are aware of any infringing material available through the Instructor Toolbox service, please contact us at dave.chamberlain@kovars.com and provide the following written information: (i) an electronic or physical signature of the person authorized to act on behalf of the owner of the copyright interest; (ii) a description of the copyrighted work that you claim has been infringed upon; (iii) a description of where the material that you claim is infringing is located on the Instructor Toolbox Service; (iv) your address, telephone number, and email address; (v) a statement by you that you have a good-faith belief that the disputed use is not authorized by the copyright owner, its agent or the law; and (vi) a statement by you, made under penalty of perjury, that the above information in your notice is accurate and that you are the copyright owner or authorized to act on the copyright owner's behalf. Applications. You may encounter third-party applications (including, without limitation, websites, widgets, software, or other software utilities) ("Application(s)") that interact with the Instructor Toolbox service. These Applications may import data related to your Instructor Toolbox account and activity and otherwise gather data from you. These Applications are provided solely as a convenience to you, and Kovars is not responsible for such Applications. SUCH APPLICATIONS ARE OWNED OR OPERATED BY THIRD PARTIES THAT ARE NOT RELATED TO WITH OR SPONSORED BY KOVARS AND MAY NOT BE AUTHORIZED FOR USE WITH OUR SERVICE IN ALL COUNTRIES. USE OF AN APPLICATION IS AT YOUR OWN OPTION AND RISK. Use of Information Submitted. Kovars is free to use any comments, information, ideas, concepts, reviews, or techniques or any other material contained in any communication you may send to us ("Feedback"), including responses to questionnaires or through postings to the Instructor Toolbox service, including the Kovar Systems and Instructor Toolbox websites and user interfaces, worldwide and in perpetuity without further compensation, acknowledgement or payment to you for any purpose whatsoever including, but not limited to, developing, manufacturing and marketing products and creating, modifying or improving the Instructor Toolbox service. In addition, you agree not to enforce any "moral rights" in and to the Feedback, to the extent permitted by applicable law. Please note Kovars does not accept unsolicited materials or ideas for videos and content, and is not responsible for the similarity of any of its content or programming in any media to materials or ideas transmitted to Kovars. Should you send any unsolicited materials or ideas, you do so with the understanding that no additional consideration of any sort will be provided to you, and you are waiving any claim against Kovars and its affiliates regarding the use of such materials and ideas, even if material or an idea is used that is substantially similar to the material or idea you sent. If you elect to seek arbitration or file a small claim court action, you must first send to Kovars, by certified mail, a written Notice of your claim ("Notice"). The Notice to Kovars must be addressed to: General Counsel, Kovars, Inc., 7520 Fair Oaks Blvd, Carmichael, CA 95608 ("Notice Address"). If Kovars initiates arbitration, it will send a written Notice to the email address used for your membership account. A Notice, whether sent by you or by Kovas, must (a) describe the nature and basis of the claim or dispute; and (b) set forth the specific relief sought ("Demand"). If Kovars and you do not reach an agreement to resolve the claim within 30 days after the Notice is received, you or Kovars may commence an arbitration proceeding or file a claim in small claims court. The arbitration will be governed by the Commercial Arbitration Rules and the Supplementary Procedures for Consumer Related Disputes (collectively, "AAA Rules") of the American Arbitration Association ("AAA"), as modified by this Agreement, and will be administered by the AAA. The AAA Rules and Forms are available online at www.adr.org, by calling the AAA at 1-800-778-7879, or by writing to the Notice Address. The arbitrator is bound by the terms of this Agreement. All issues are for the arbitrator to decide, including issues relating to the scope and enforceability of this arbitration agreement. Unless Kovars and you agree otherwise, any arbitration hearings will take place in Sacramento, CA. The arbitrator shall issue a reasoned written decision sufficient to explain the essential findings and conclusions on which the award is based. Except as expressly set forth herein, the payment of all filing, administration and arbitrator fees will be governed by the AAA Rules. YOU AND KOVARS AGREE THAT EACH MAY BRING CLAIMS AGAINST THE OTHER ONLY IN YOUR OR ITS INDIVIDUAL CAPACITY, AND NOT AS A PLAINTIFF OR CLASS MEMBER IN ANY PURPORTED CLASS OR REPRESENTATIVE PROCEEDING. Further, unless both you and Kovars agree otherwise, the arbitrator may not consolidate more than one person's claims with your claims, and may not otherwise preside over any form of a representative or class proceeding. If this specific provision is found to be unenforceable, then the entirety of this arbitration provision shall be null and void. The arbitrator may award declaratory or injunctive relief only in favor of the individual party seeking relief and only to the extent necessary to provide relief warranted by that party's individual claim. You and Kovars have the right in a situation where there is an imminent threat of harm to the legal rights of a party and damages would not be adequate relief to seek a temporary restraining order and temporary or preliminary injunctive relief from a court of competent jurisdiction in Sacramento, California, without the necessity of posting any bond and without the necessity of first complying with sections 15 a.- e. above, and if bond is nevertheless required by a court of competent jurisdiction, the parties agree that the sum of $1,000 will be a sufficient bond (this amount may be adjusted by changes in the Consumer Price Index since the Effective Date). If an arbitration proceeding has already commenced pursuant to sections 15 a. – e. above when a party seeks injunctive relief, then the party seeking such injunctive relief agrees to contemporaneously submit the merits of its dispute to the arbitrator. The existence of a proceeding commenced under section 15 a. – e. above will in no event abate or otherwise affect the ability of party to seek injunctive relief on account of this section 15 f..